An OK score from Laxmikant Pyarelal. 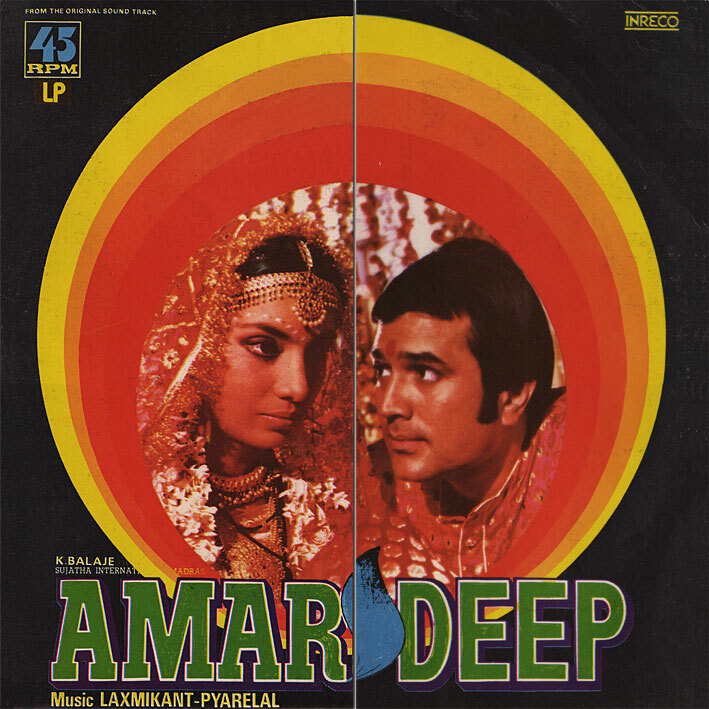 The songs on 'Amar Deep' don't rock my boat all that much, with the possible exception of 'Dunia Hai Bewafai' which is quite good... it has a nice funky pop flavour to it. Elsewhere, there are cool details (good for sampling perhaps), like the 'Psycho' strings and acoustic guitar on the intro of 'Koi Na Tere' plus a bit of heavy percussion, the (somewhat cheesy) Latin touches in 'Tum Na Manoge', and the intro (again) and jagged rhythm of 'Halke Se Kasak Masak'... but they don't really go anywhere. So a case of the whole being less than the sum of its parts...still worth a listen though. Thanks again for sharing great old classics. Thanks and really appreciate your efforts !!! Awesome oldies !!!! You have shared sm gr8 albums. However when i click to download this album the easy share says the file has been deleted. Can U re-share it - or plz direct me in case i am making sm mistake. Nope, there's no mistake on your part... the majority of the files seem to have been deleted without my knowledge... see my latest post.